Air Niugini has appointed a new Regional Sales Manager to look after its business operations in the New Guinea Islands region. He is Robin Taman from Taulil village in the Gazelle Electorate of East Britain Province. 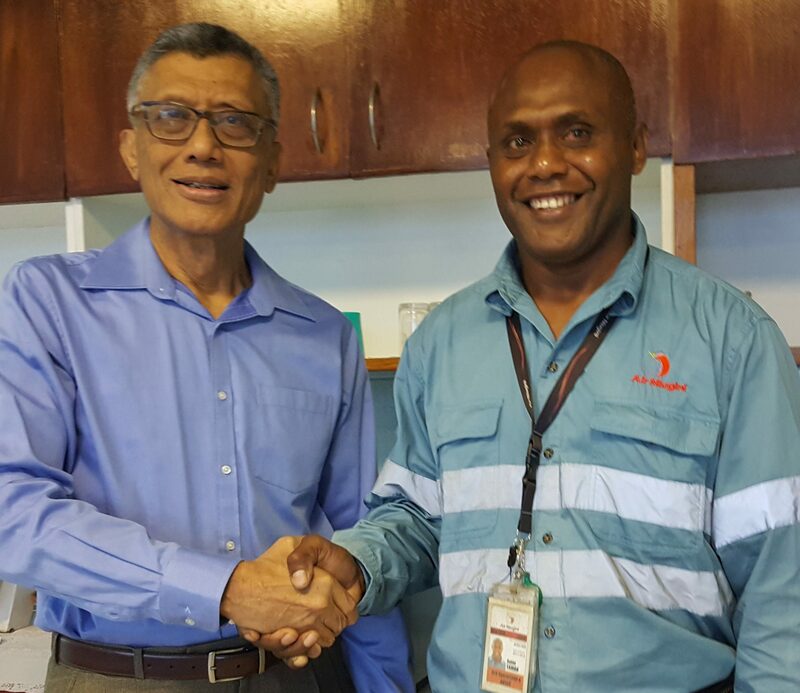 Air Niugini Chief Executive Officer, Mr Simon Foo in announcing the new appointment last week said Taman is a career officer, having worked with Air Niugini for 25 years. Taman commenced work with Air Niugini in 1992 as a domestic check in officer, then moved to ramp, traffic and sales before he was appointed Port Manager. For the last 10 years, he managed Air Niugini’s office in Moro, Southern Highlands serving the airline’s mining clients. The new NGI Regional Sales Manager is based in Rabaul and also oversees Air Niugini’s sales operations in Hoskins, Buka, Kavieng and Manus. Each sales manager in these ports report to him. His job basically is to manage the sales performances and create and maintain a high level sales culture focused on delivering results by providing on going coaching and development of support staff. Taman said Rabaul is one of Air Niugini’s major domestic ports linking the rest of the NGI region, handling more than seventy flights a week. He added that the new role requires full commitment and dedication to achieve the company’s goals and objectives and he is confident of taking up the challenge. He thanked Air Niugini Management and the CEO for having trust and confidence in him. Robin was Sales and Airport Manager at Gurney airport, Milne Bay prior to his new appointment.